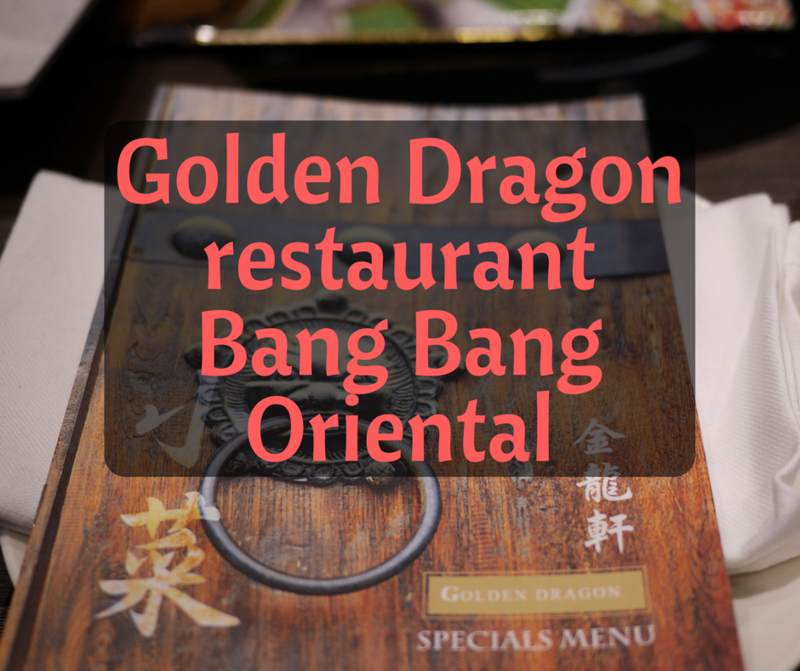 Golden Dragon restaurant at Bang Bang Oriental - What's Katie Doing? 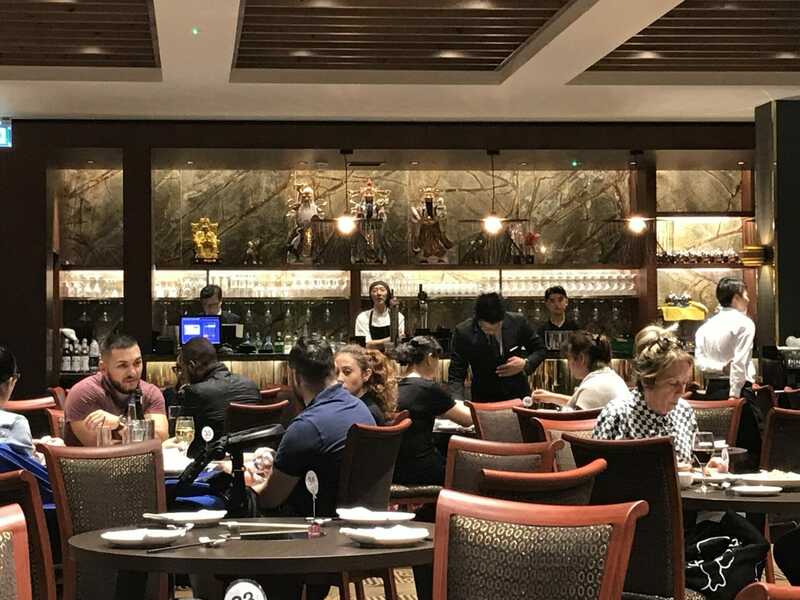 You may have heard of Bang Bang Oriental food hall opening in Colindale, North London this summer. Based on the same site that used to host Asian supermarkets & a food hall, it has the draw of the existing Asian food lovers. 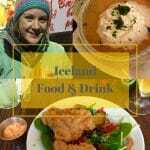 (I’ve even visited there before to get trickier ingredients for authentic meals). The main draw is the vast food court with many different Asian food stalls all around. 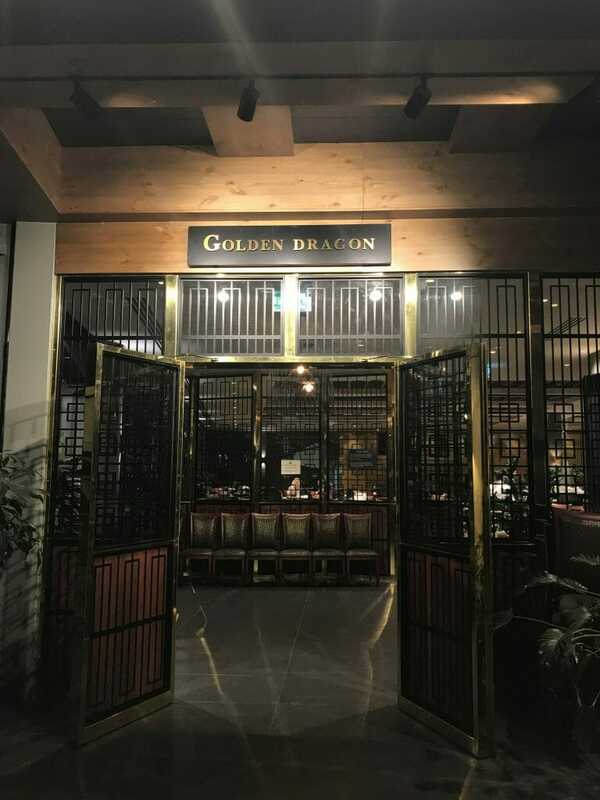 However Golden Dragon, on the ground floor, is where you go for table service or a celebration dinner. 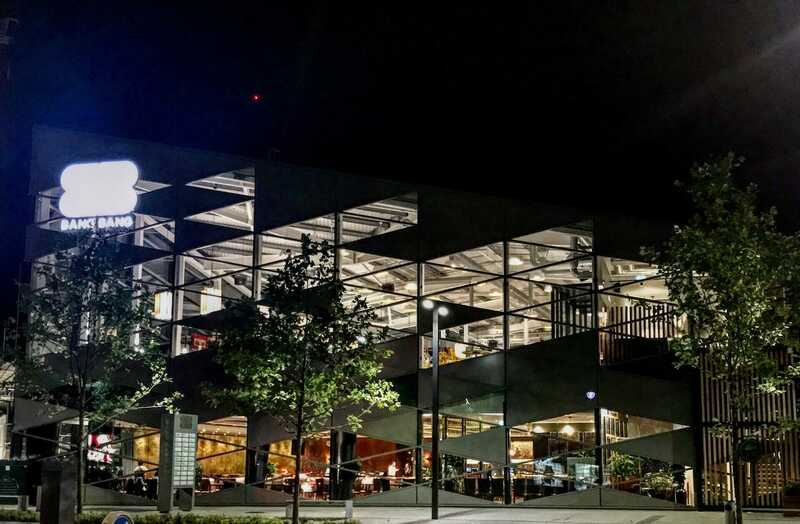 The restaurant is on the ground floor with the main food hall situated above it on the first floor. After you walk through the impressive doorway you are greeted in the lobby before being guided past the screen, into the restaurant proper. 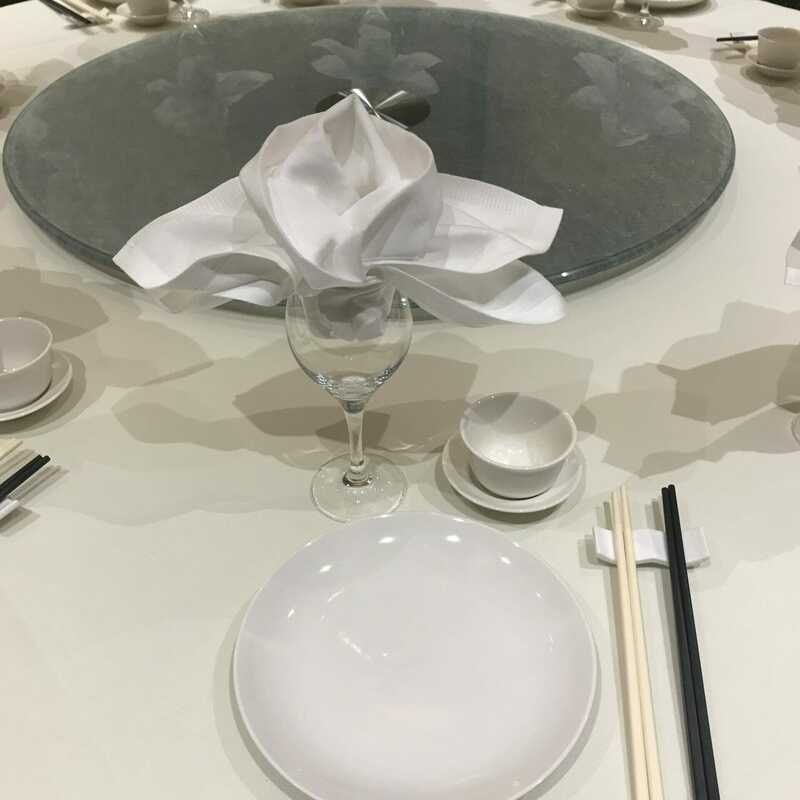 The restaurant is a large space with lots of round tables of different sizes. This means that they can accommodate groups of all sizes – from couples to families and larger – in a very sociable way. 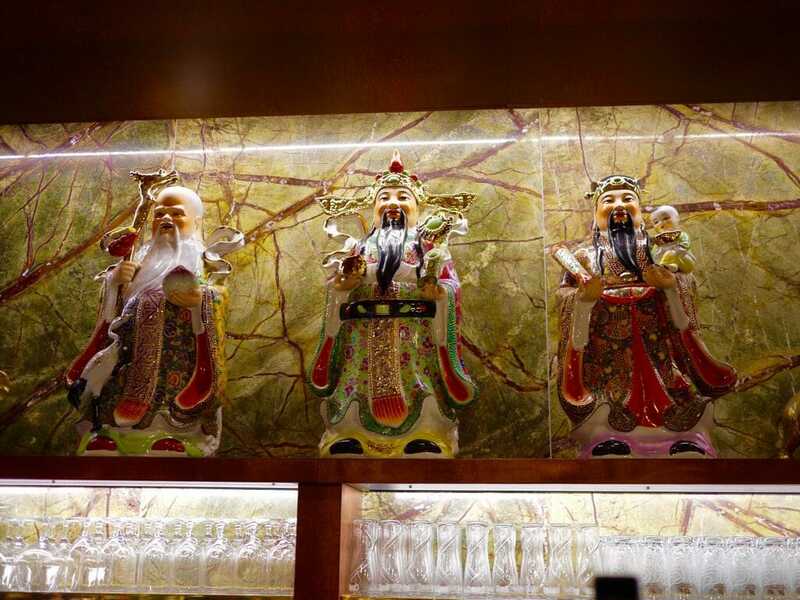 On the back wall of the restaurant there is a large bar decorated with statues of Shou, Lou and Fo – Symobolising happiness, health and fortune. 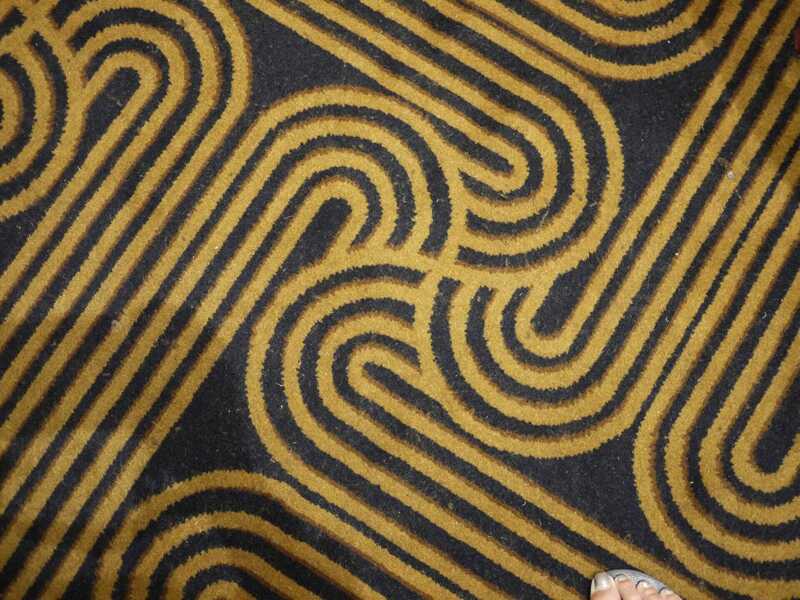 I loved that they even had a monogrammed carpet – with the double B’s from Bang Bang woven into it! Both rooms have their own sound systems and can be combined for large groups. 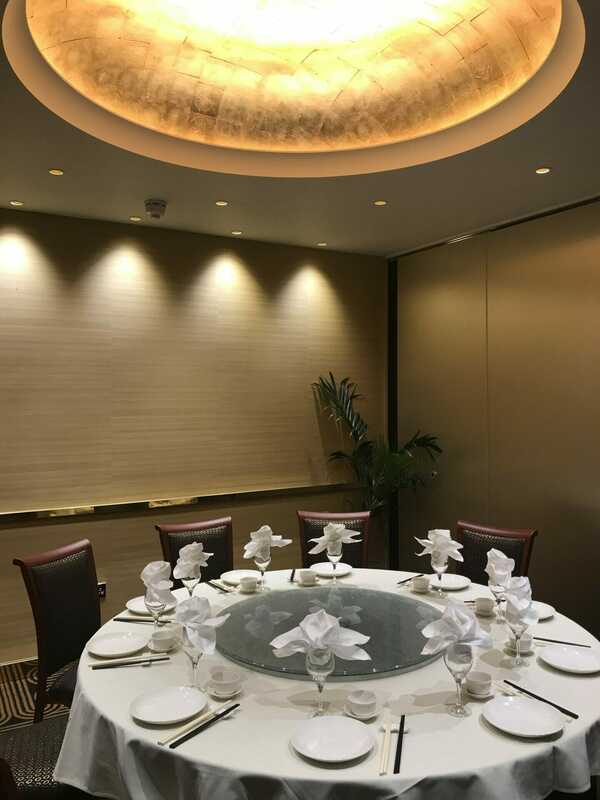 There is a large round table with a lazy Susan in the middle in each room – and as you can see the rooms have unique decoration with beautiful details like the ceilings. 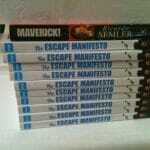 ​I can never resist the temptation of turning these! Now on to the most important thing – the food! 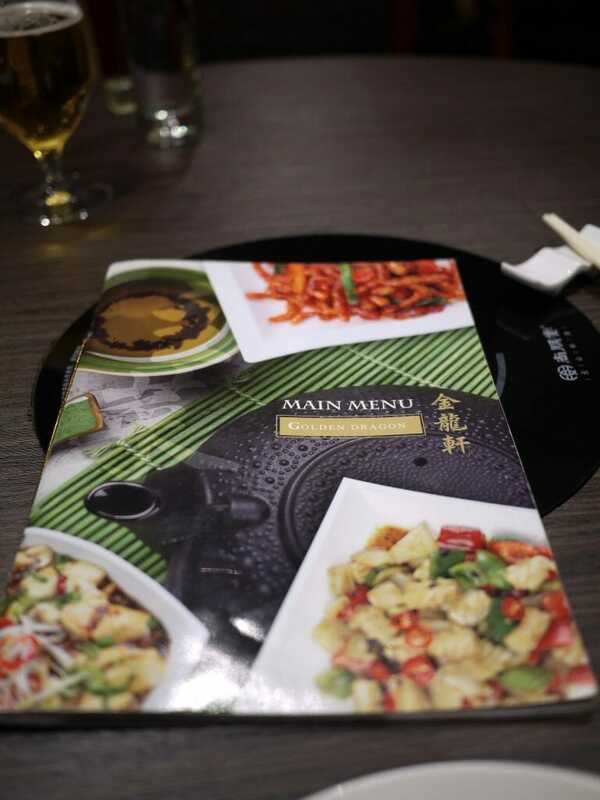 My friend Sandra, aka Juniper Chick, maintains that the best way to assess a Chinese restaurant is to order a few key dishes. 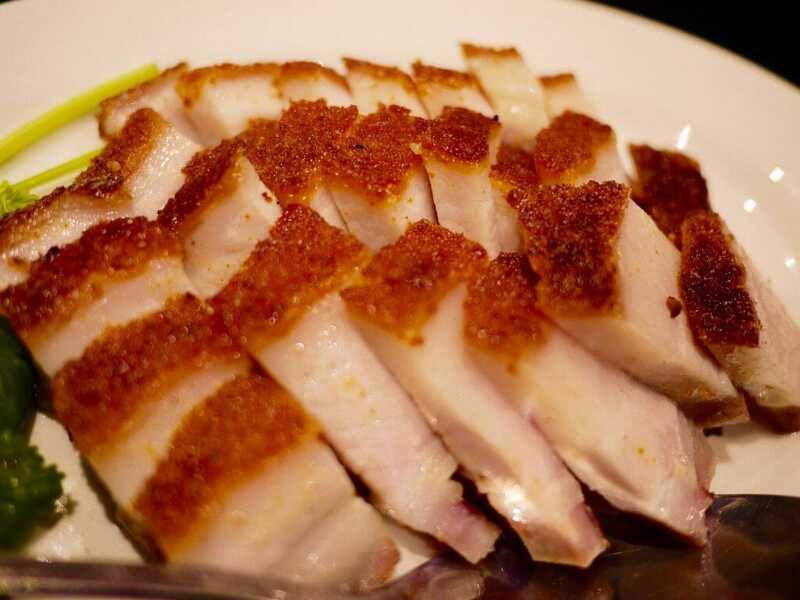 So we ordered the Siew Yoke – crispy pork belly, Aromatic duck (both crispy aromatic duck and Peking duck are specialities here) and the pork ribs. Are you ready for your close up?! This got the Juniper Chick seal of approval! Look at those gorgeous ribs! 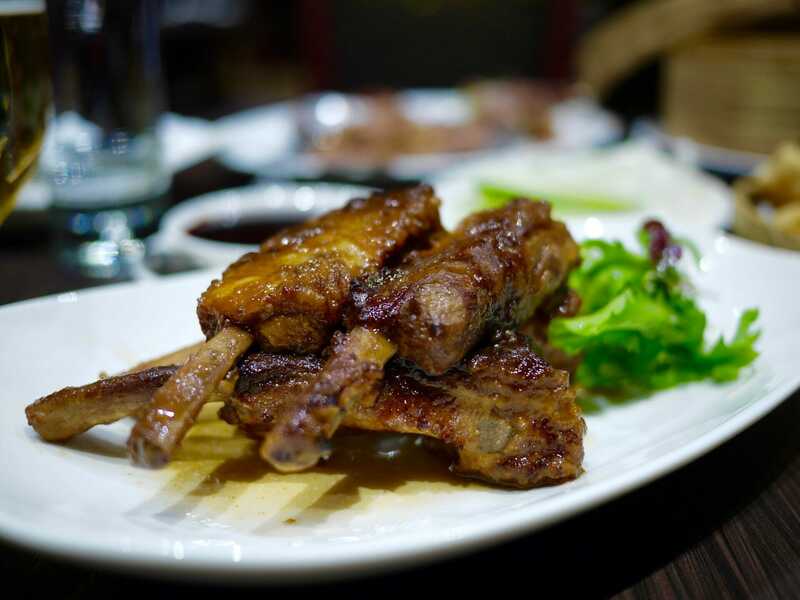 The pork ribs are another house special – these were literally melt in the mouth, with the meat falling off the bone. You’ll want to try these for sure! It’s not a proper Chinese meal without some crispy duck! 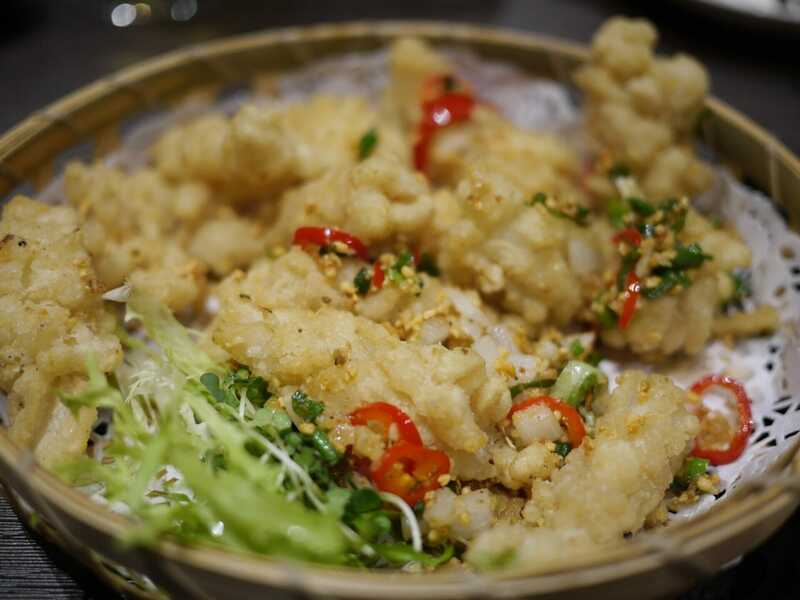 We also got the crispy fried squid with garlic and chilli. This delivered exactly what you'd expect, just don't eat the raw chilli if you don't want the heat!! The delicious dish is a wonderful combination of a whole crab (and it's a large one!) with lots of spices and the rice vermicelli noodles. The flavours are pure Singapore - chilli, ginger and satay with curry spicing. Very flavourful - it packs a punch and something that you need to get involved with. I.e. 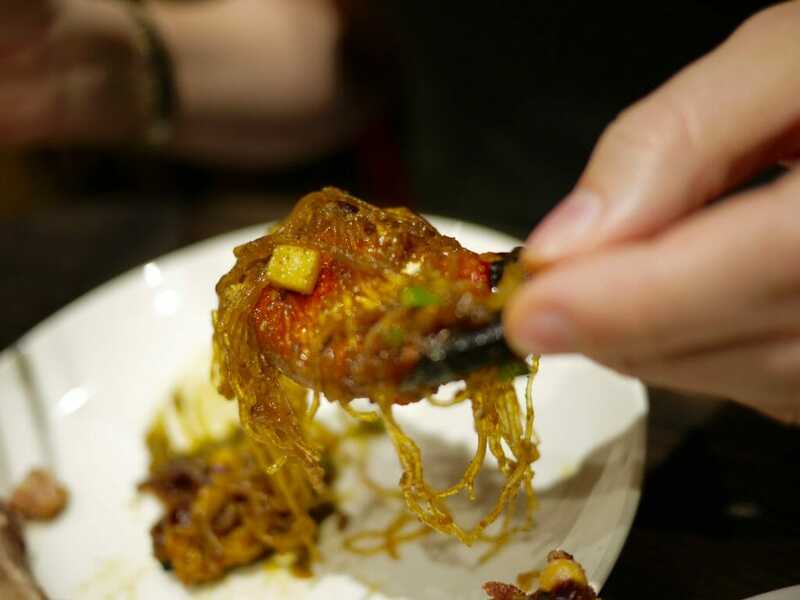 You need to extract the crab meat - so don't be squeamish! The whole thing is served in a traditional clay pot. The waitress recommended having this dish as a starter to share for 3/4 people - so we were a bit overwhelmed with the size between two, but we totally accepted the challenge! 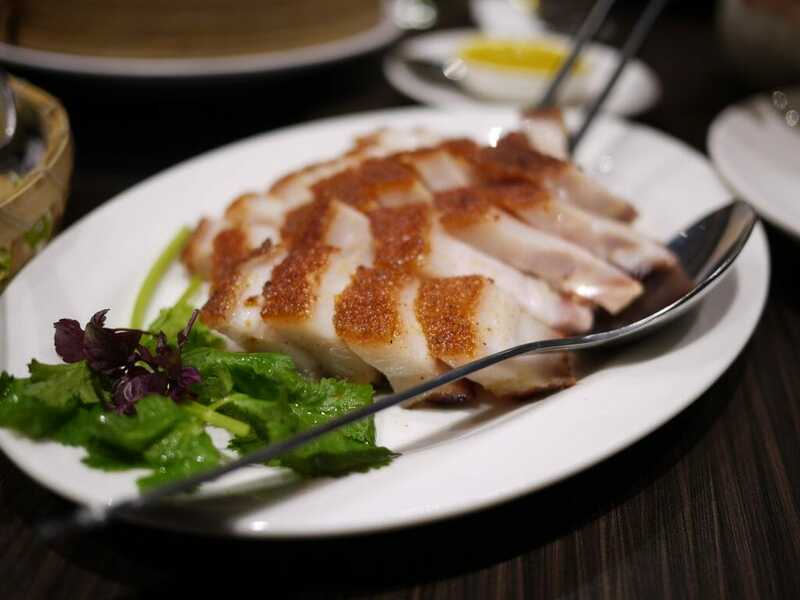 I think this dish is great value too - I challenge you to pick it and try something different to your regular selections! Don't forget that they serve Dim Sum at lunch! I totally want to head back to try their Dim Sum - maybe as a Sunday brunch activity, I just need to find enough people to come with me (Dim Sum is best shared!). Full disclosure, I was a guest of Golden Dragon for dinner, however all opinions are my own. Sandra and I also got the crispy fried squid with garlic and chilli. This delivered exactly what you'd expect, just don't eat the raw chilli if you don't want the heat!! 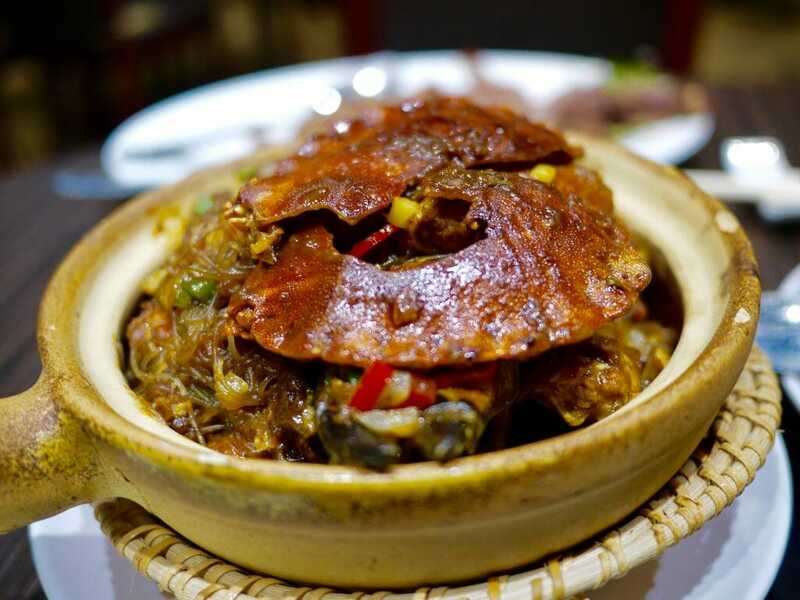 The delicious dish is a wonderful combination of a whole crab (and it's a large one!) with lots of spices and the glass or vermicelli noodles. Getting to grips with my food! And if you have any room after that, why not try something sweet? Golden Dragon do Dim Sum at lunch times and I'd love to go back to try it. Going with a big group for Sunday brunch/lunch would be ideal, if like me, you love trying a bit of everything! I had a great meal, with some really lovely dishes. 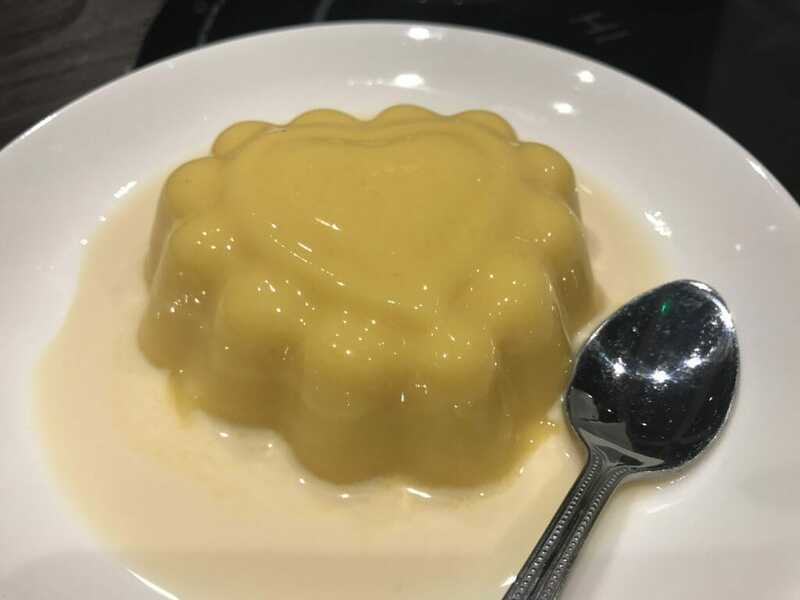 Golden Dragon is not your bog standard Chinese, but something more special and this is reflected in the quality of the food and the pricing. 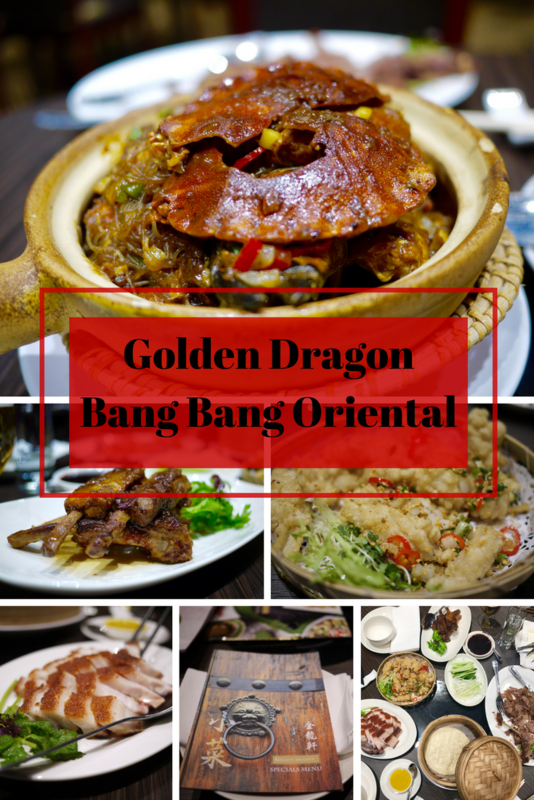 If you want a cheap quick eat, then the food hall is your best bet, but for a nice dinner with family or friends then Golden Dragon is the place to go. I'm definitely going to be heading back for sure, and I know that Sandra will be coming with me too!